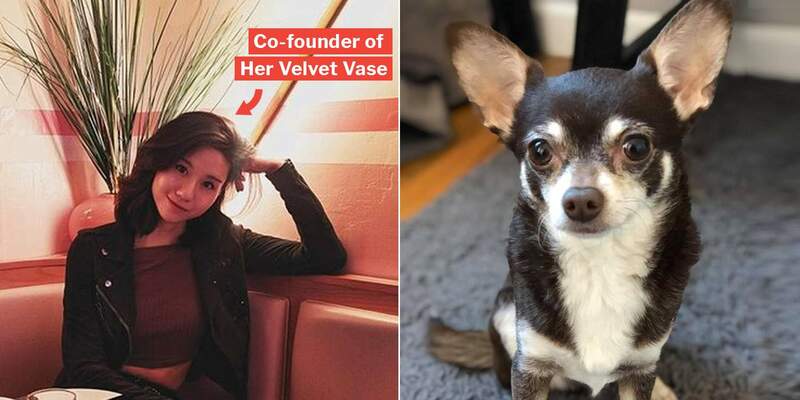 Update (9 Feb): Mag Chan, co-founder of Her Velvet Vase, has responded to accusations that she ‘stole’ a Chihuahua named Louis from her university schoolmate in America. In short, Mag claimed that Louis was neglected by its previous owners, and as a result suffered both mentally and physically. Since adopting Louis, Mag stated in her post that Louis’ condition had improved significantly. Mag felt emotionally obliged to continue caring for him, even if that meant bringing him back to Singapore. You can read her Facebook post in full here. Her Velvet Vase (HVV) is a renowned blogshop known for their chic and affordable dresses. Many of you ladies may even have patronised them recently for your CNY dresses. 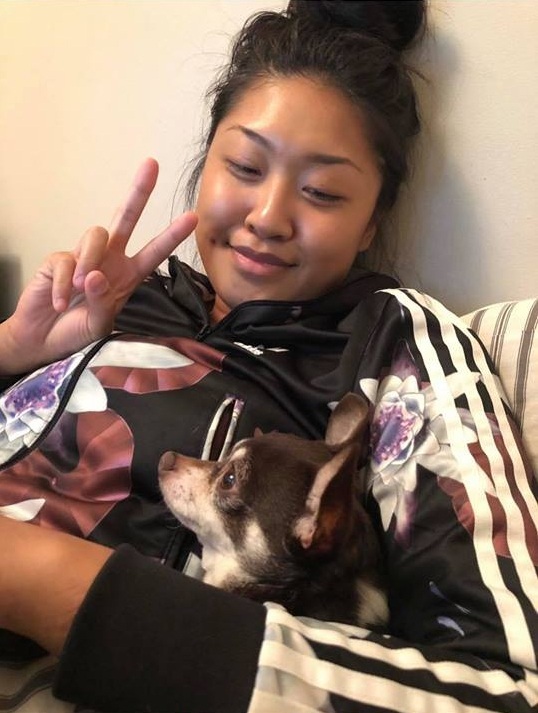 But recently, Ms Mag Chan found herself embroiled in some controversy where she was accused of ‘stealing’ a Chihuahua dog originally belonging to her American university schoolmate, Ms Julie Chung. On Thursday (8 Feb), Julie wrote a lengthy Facebook post with multiple screenshots, accusing Mag of stealing her dog. The post has since gone viral, with 266 shares at the time of writing. 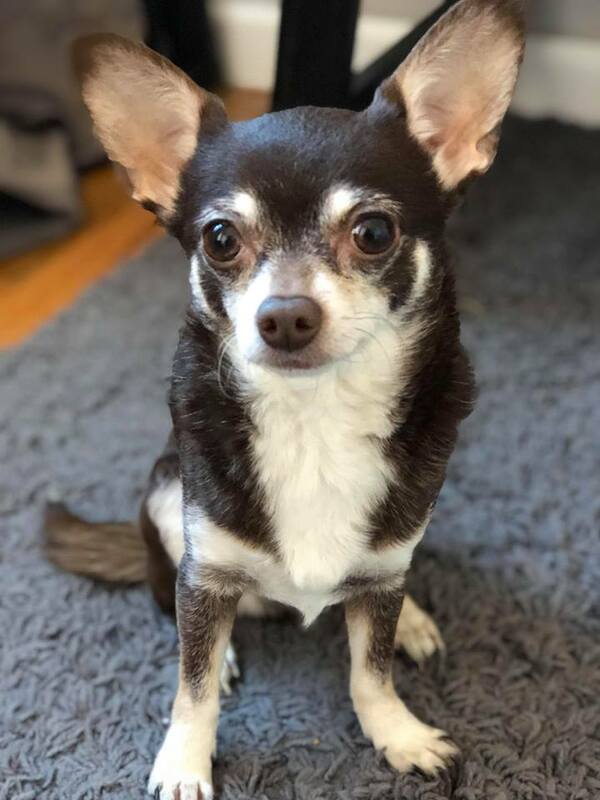 Everything began in April 2018 when Julie – a student from New Zealand studying at New York’s Parsons School of Design – sought help to foster her Chihuahua dog, Louis in a school Facebook group. 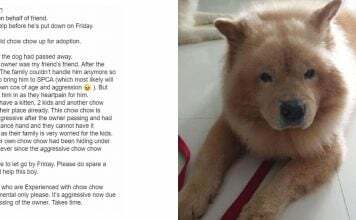 Julie was soon approached by a Singaporean schoolmate named Mag, who claimed to have grown up with dogs for most of her life. The pair allegedly made a verbal agreement and Louis was left under Mag’s care. 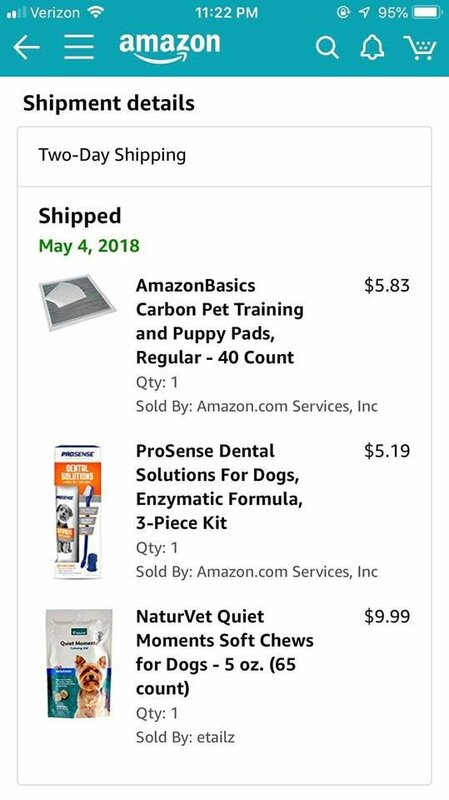 Throughout Louis’ stay with Mag, Julie allegedly sent food, money, dental supplies and even treats to help address his anxiety issues. According to receipts uploaded by Julie, these expenses amounted to roughly S$766 (US$565). 7 months flew by and it was finally time for Julie to pick Louis up from Mag. 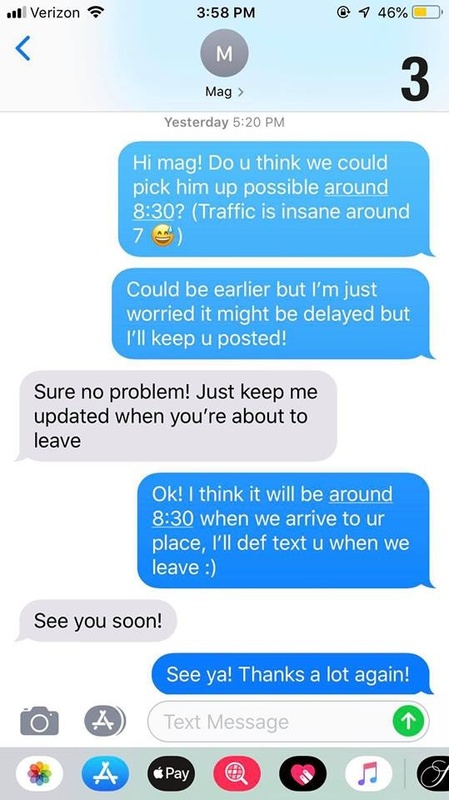 But when Julie attempted to contact Mag via iMessage, she claims she received no reply. She asked her sister to check out Mag’s Instastory where she discovered to her horror that Mag was packing up her apartment with Louis — a sign that she was moving out. At that point, Julie says she panicked and headed straight to the police. However, the cops were unable to assist as there was no official contract between herself and Mag. In a state of panic, Julie rushed to Mag’s apartment in an attempt to retrieve Louis but was denied entry by the doorman there. As Julie was leaving, she finally received a call from Mag albeit from a “no caller ID number”. 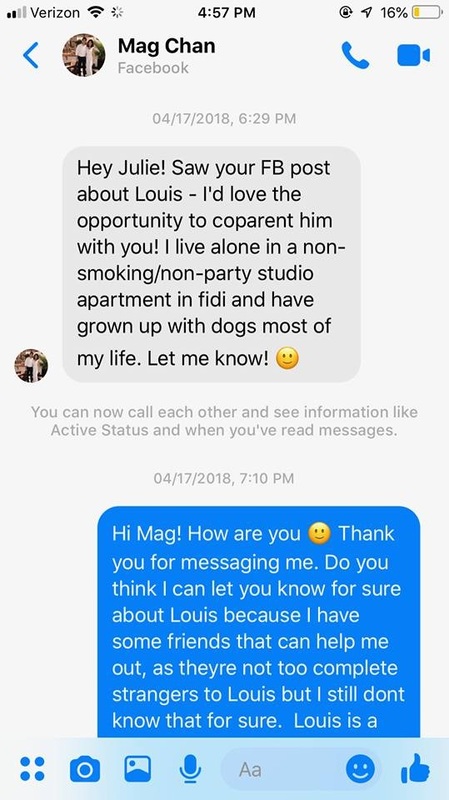 Mag allegedly said that she was 4490km away in Los Angeles while Louis was in Boston with her sister, Clare. 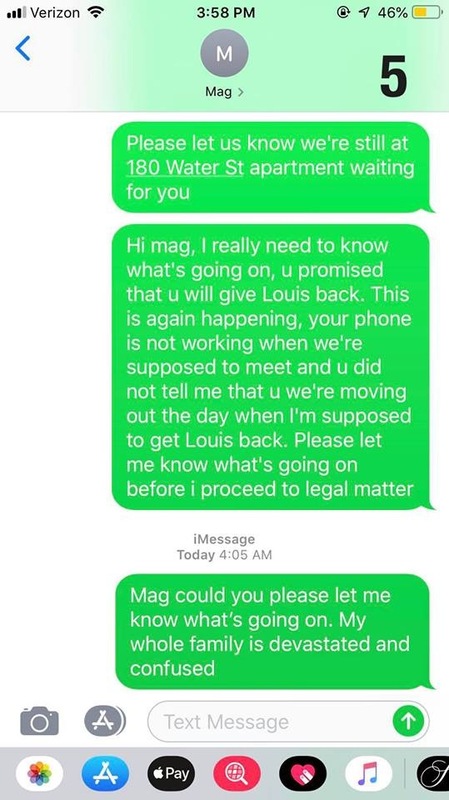 She then told Julie that she’d be able to collect Louis from her roughly a week later on 31 Jan.
One day before the agreed date, Mag allegedly messaged Julie and confirmed that they’d be meeting the next day. The pair remained in contact even 2 hours before the meeting. Yet when Julie reached the apartment, she claims Mag was once again uncontactable. The doorman also informed her that Mag had moved out earlier that day. As Julie stood in the 10°C weather, she prayed that Mag would return with her Chihuahua. Sadly, that didn’t happen. As of the time of this article, Mag has allegedly flown back to Singapore with Louis and has blocked Julie’s mobile number and across all social media channels. According to her post, Julie had never found the need to microchip Louis. As such, she fears that Mag could have microchipped Louis herself and tagged him as her own. She hopes to spread the word through social media and hopefully be reunited with Louis once again. You can refer to the full list of screenshots from Julie here. We hope both parties reach a mutually agreeable resolution soon that’s also best for Louis’ welfare. Featured image from Twitter and Facebook.